In autumn 2014, fitness chain Nordic Wellness is opening a new fitness facility at Gallerian mall in central Eskilstuna, west of Stockholm. Nearly 3,000 sq.m. of former department store premises will be converted into a state-of-the-art gym. The Gallerian mall, which has area of approximately 14,000 sq.m., is on Kungsgatan, Eskilstuna, and currently has 17 stores and six cafe and restaurant tenants. Nordic Wellness’s start-up is part of Kungsleden’s long-term development process for Gallerian’s selection of stores and services. 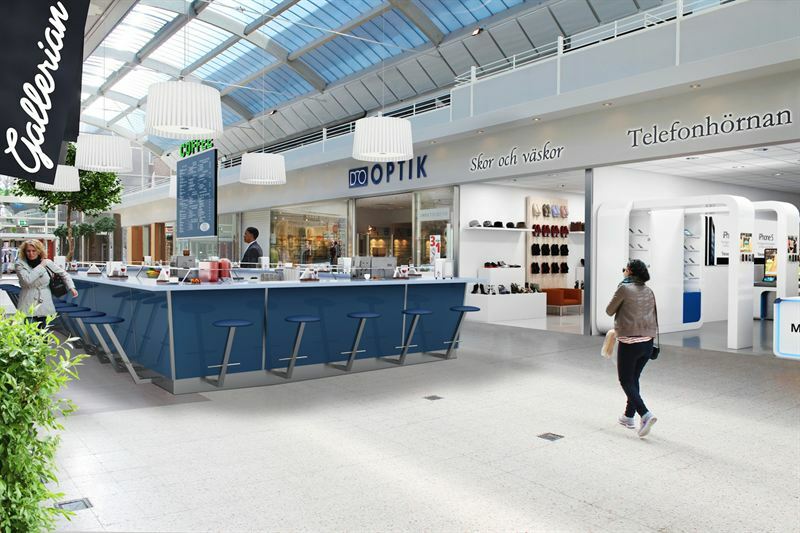 “Kungsleden is taking an active, long-term approach to developing our shopping centres to create attractive retail sites that offer a great mix of services, stores and restaurants. Nordic Wellness’s fitness centre opening means we’re expanding and extending Gallerian’s offering of services”, commented Nina de Besche, Kungsleden’s Regional Manager. “Here at Nordic Wellness, we’re delighted and really looking forward to opening a truly cutting-edge fitness club in central Eskilstuna. These premises have enormous potential and will offer everything a contemporary fitness centre needs,” responded Magnus Wilhelmsson, CEO of Nordic Wellness. Kungsleden AB (publ) discloses the information in this press release according to the Swedish Securities Markets Act and/or the Swedish Financial Trading Act. The information was provided for public release on 14 April 2014 at 2:00 p.m.